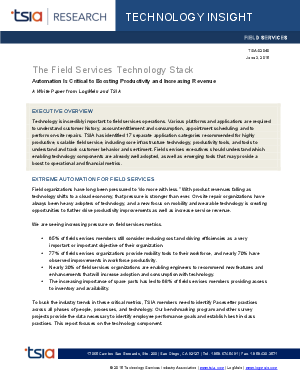 Technology is incredibly important to field services operations. Various platforms and applications are required to understand customer history, account entitlement and consumption, appointment scheduling, and to perform on-site repairs. Download this paper now to find out how field services executives should understand which enabling technology components are already well adopted.